Diamond Cathedral Engagement Ring with Channel-Setting | Shane Co. This bold and brilliant engagement ring features eight channel-set round diamonds, at approximately 1.01 carats total weight. Each diamond has been hand-matched for sparkle and brilliance. 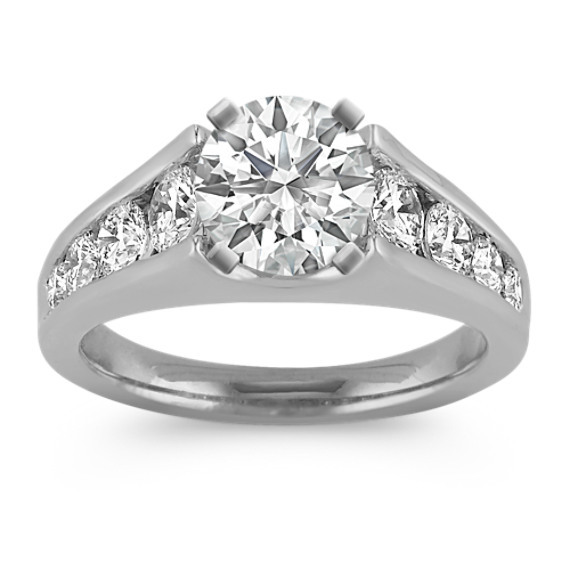 The stunning ring is crafted in quality 14 karat white gold and awaits the center diamond of your choice. I love this ring!! purchased mine in platinum for my 25yr upgrade. I placed a 1.22ct asscher cut I / VS1 in order to break up the rounds and create a unique design. In addition each shape stands out and is emphasized. I wanted a diamond shape that isn't commonly found in preset rings.